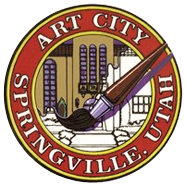 The Springville Museum of Art is always seeking energetic and enthusiastic volunteers to help lead tours, hang exhibitions, help with visitor services, and assist with special events. The Museum is a dynamic environment where everyday presents a different challenge. 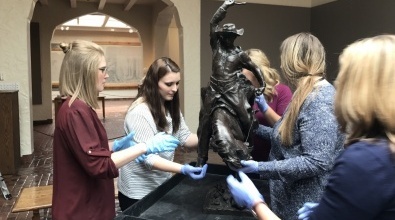 We are looking for passionate individuals who love the arts and want to be involved behind the scenes at Utah's first museum for the fine arts! Exhibitions: Assist our museum staff as they prepare for new exhibitions by helping with the intake process, which includes working with artists as you document and register their artwork. Special Events: Assist with exhibition openings, Children's Art Festival, and more! Docent (Tour Guide): Lead groups of scheduled visitors of all ages through the Museum. Ask great questions, lead interesting conversations, and share the history and culture of the Museum. Internship: Work with our staff in various areas of museum work. Get a wide range of experiences and have ownership over several projects during a semester. Internships are perfect for high school, undergraduate, and graduate students who are looking for work experience in the arts, communications, education, or non-profits. Find out more here. If you are interested in volunteering you can fill out our online application or contact Anne Totten at 801-491-5700.